The garden is meant to be a place of wonders, but so many treat it as a dull or purely practical space. With a little thought, you can use the garden to create a story, an adventure, a completely different experience by using elements such as mirrors, planting and paving in interesting ways. There are many tricks that are usually implemented in everyday life to make things appear not quite as they are, and these tricks can easily be converted into the garden to create more depth and intrigue, a purely exciting experience for visitors. 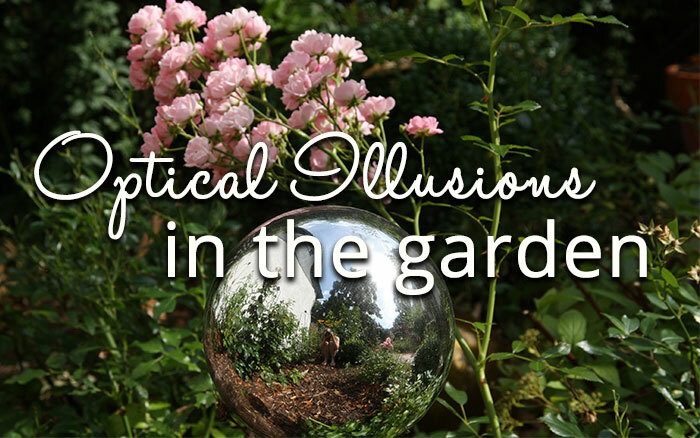 If you’re interested in creating optical illusions in the garden, here are a few things you can try. In fashion, people wear stripes to appear taller, thinner or wider. 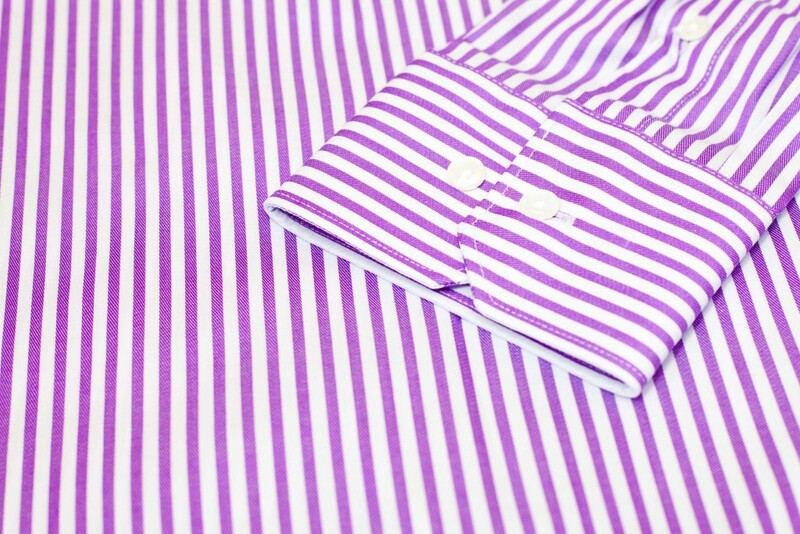 Vertical stripes trick the brain into thinking that someone is taller or slimmer than they are, and horizontal stripes make someone look wider. You can adapt this for the garden too. Paint your fences or walls with horizontal shades to make the garden appear wider than it is. Paint vertical stripes or change your fence to vertical slats if you want there to be more height. We use mirrors in our homes to make things look bigger or brighter. It’s a standard trick in showhomes, and any estate agent will confirm what a useful trick it is. You can use mirrors in the garden in the same way to make a space look larger, or use them to reflect light into dark or shaded areas. 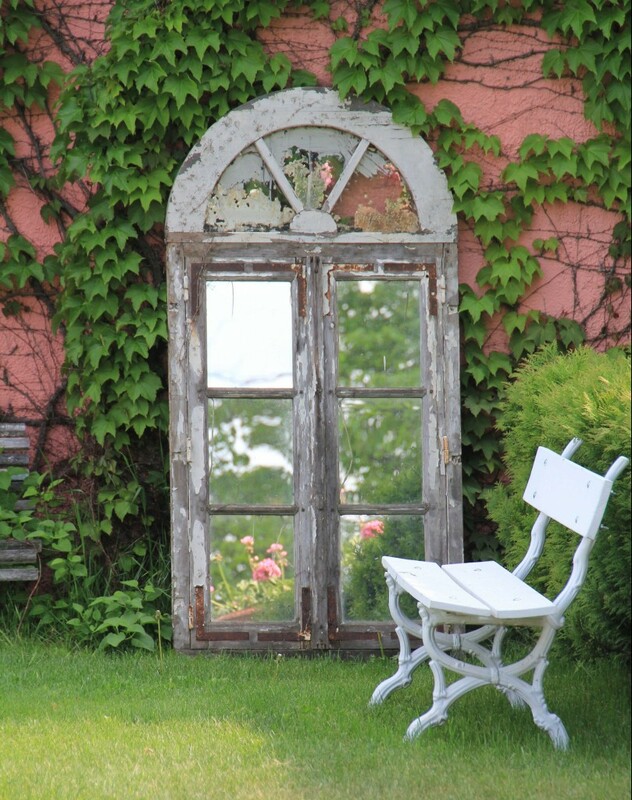 If you do decide to use mirrors in your garden, then there are a few tips you should follow to ensure you use them in the safest way possible. Use mirrors that are weather proof. You can use plastic mirrors available at most DIY super stores. Do you have birds visit your garden a lot? Be sure you know where the flight paths of the birds are that visit your garden. Mirrors could confuse the birds so be sure that you don’t put them in a place where birds could mistake it for more flying space! While the reflecting property of mirrors can really help increase the amount of light that reaches certain areas of the garden, this can also be a problem. You don’t want mirrors to reflect direct sunlight into your home or onto your outside seating areas, so think about that when you are placing them, or angle the mirrors down to avoid it. You can use mirrors inside a window or door frame to create a fake window on the side of a wall. You can also use shutters either side of a mirror to make it look like a traditional style window. Add window boxes underneath planted with something like geraniums and fuchsias for a bit of extra wow. You can also use paving to create interesting patterns and optical type illusions in the garden. In general, the eyes follow a straight line, so turn your paving stones diagonally or slanted. This will make the eyes look to the sides of the garden, and really absorb everything, rather than just directing them to the end. 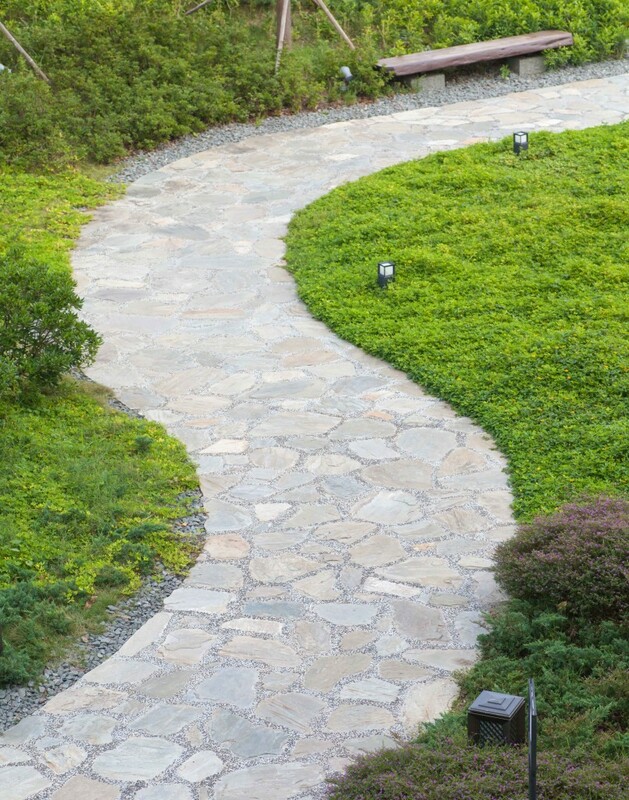 Do not have a straight path – wind it around your garden in a snake pattern and the eye will perceive that the garden as larger than it is. In the house, you can use white or another pale paint to make rooms look bigger and brighter. Again, this can be translated into the garden. Paint fences and walls white or bright colours to make the whole garden appear bright and big. This is especially effective in city or town gardens where light is sparse. Warmer colours such as terracotta and primrose can be used to add Mediterranean character to a garden spot. In the home, a chimney breast or feature wall in these colours make great statements in rooms. 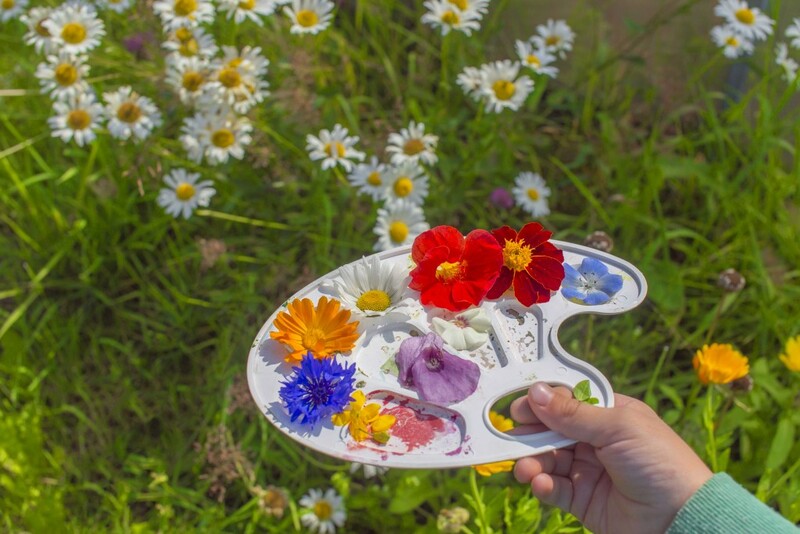 This is something you can start doing in the garden too, by painting your shed, summerhouse or even large planters with these sort of colours. The other effect these warmer colours have is to make items appear closer. To make items appear further away, colours such as pale greens, purples and blues will do the trick. 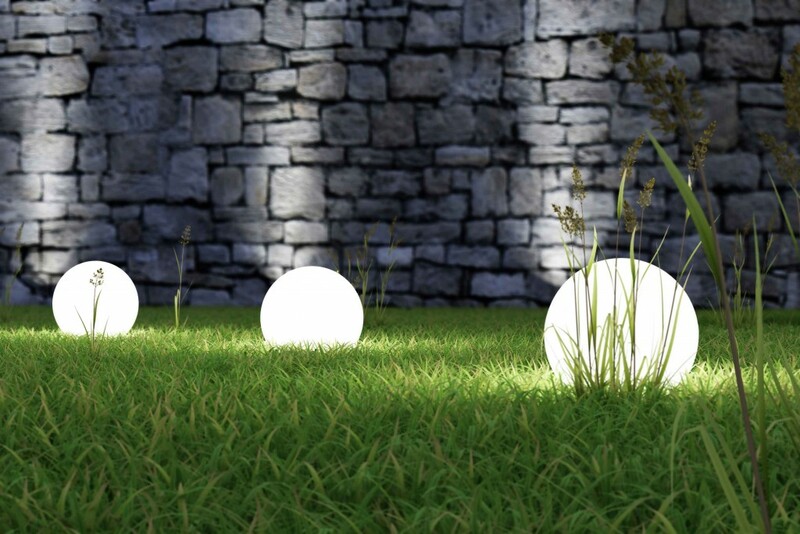 Just as home developers and high street retailers use light cleverly to draw focus and create the illusion of space, you can use it to make your garden seem bigger, brighter and have more depth. 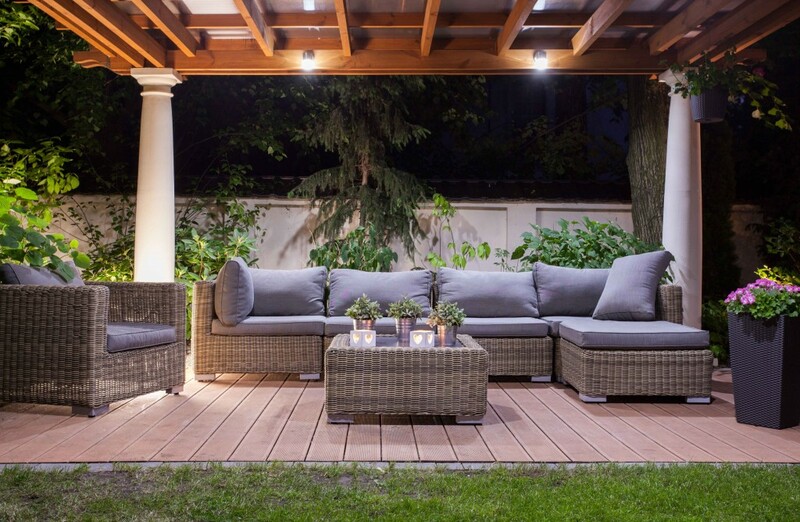 One way to do this is to use lights to highlight certain features like a seating area, a drive, path or border, or uplighting trees. It not only makes the garden appear more interesting, but also more inviting for people who visit. Don’t go overboard though, because too much lighting can actually make the garden seem smaller. What techniques have you used in your garden to make it appear more inviting, different, bigger, smaller? Leave a comment in the box below!